YEAH so that happened today and I almost missed it! Baby-blog is gonna be potty trained before you know it. Happy birthday TRAVIS. 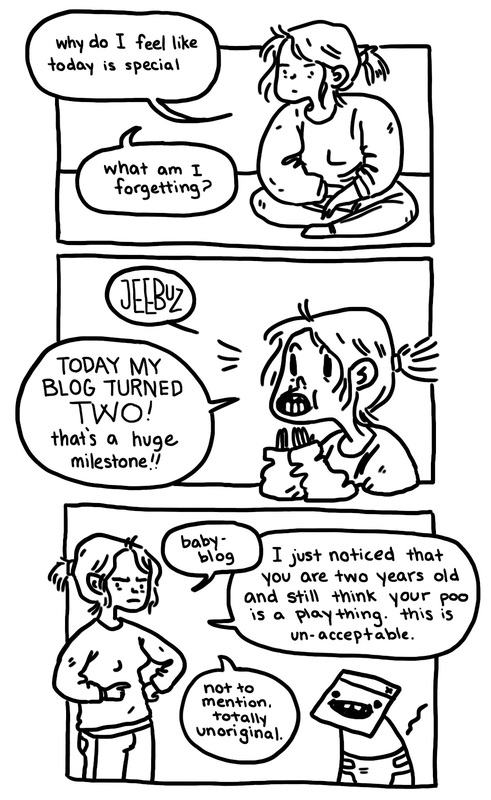 Happy birthday BLOG. And a good night to you all because I am up waaay past my bedtime. Hey Rachel, do you have a Tumblr? You could clean up on that site. I don't! should I get one? is that what the cool kids are doing? i am so out of The Loop. Ah I see. Blogger is the new Livejournal and Tumblr is the new MySpace. Maybe I'll make the switch; sounds worth it!